Coyle was profiled in her alma mater’s magazine. The article focuses on how Coyle’s work and direction has changed since she graduated from Elon University. Article that focuses on the artwork of three D.C. area artists (including Coyle) who were featured in the Bourgeon book. Also focuses on their group exhibit held at Tryst. 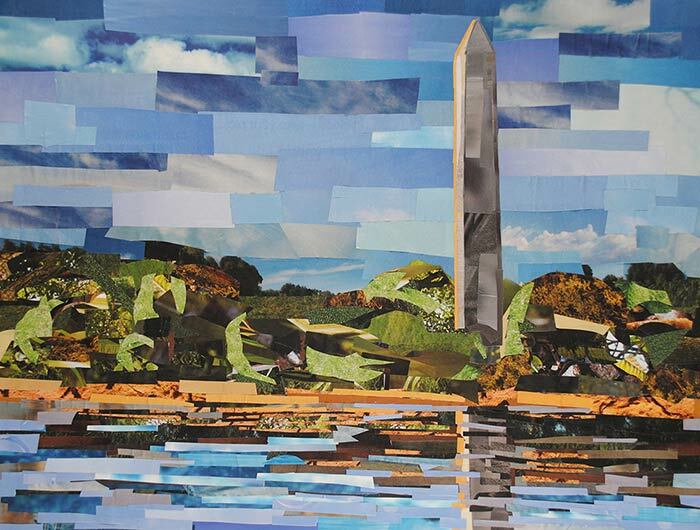 Focuses on Coyle’s creative process as well as the series of D.C. landscapes/cityscapes that was created for her Arts Club of Washington exhibit in February 2013. 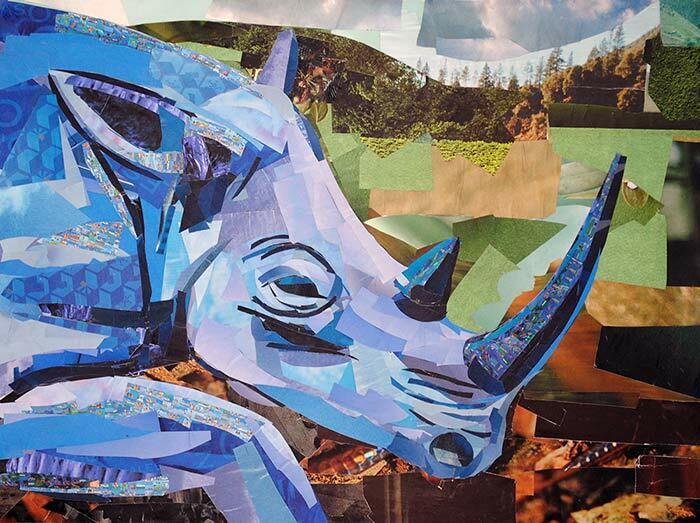 Featured artwork by students from Venezuela that were inspired by Coyle’s collage artwork. Some of the students copied her technique and compositions. Article about Coyle’s exhibit at the Manassas Center for the Arts. 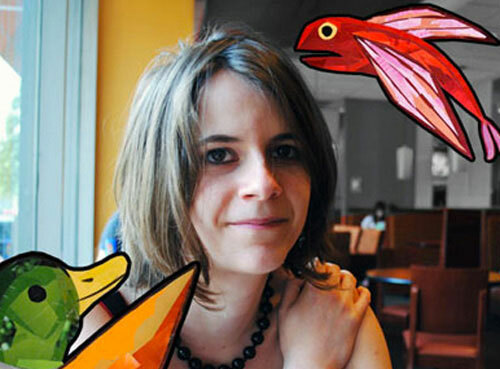 The article covers Coyle’s technique and mentions her children’s book, Duck & Fish, that was completed in 2011. This local paper in Manassas printed an article about Coyle’s solo show at the Center for the Arts, Caton Merchant Family Gallery. 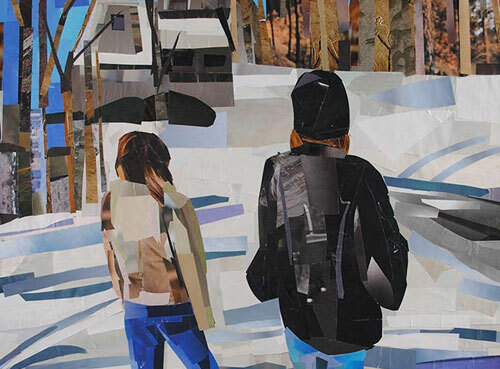 The article provides more info on the subject matter featured as well as info on Coyle’s collage technique. 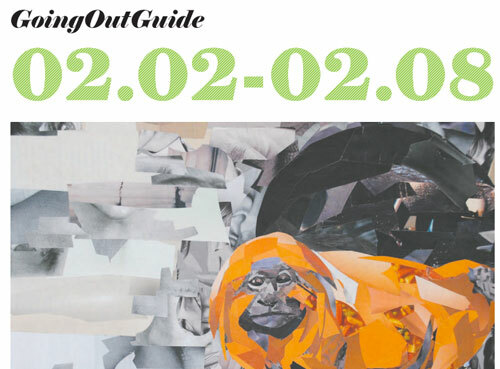 Megan’s “Orange Monkey” collage received a prominent spot in the Washington Post’s GoingOutGuide, where they also included a blurb about her show “A Palette of Paper” at the Center for the Arts, Caton Merchant Family Gallery in Manassas. Focuses on the release of Megan’s first children’s book, Duck & Fish. The article discuses the plot of the storybook and the illustrations Coyle created. 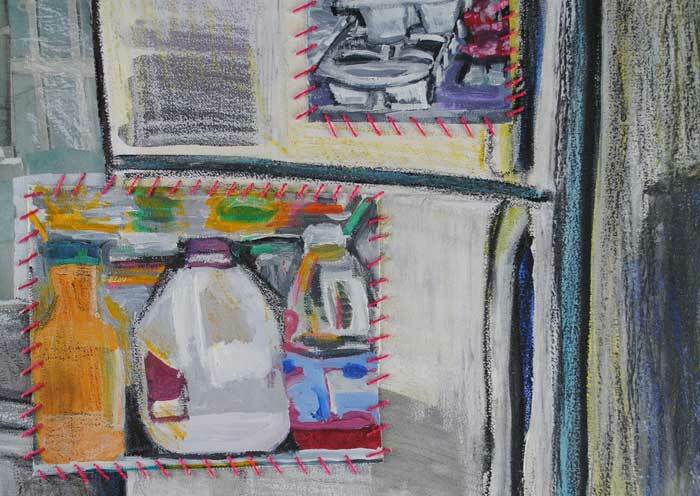 It also includes an overview of her work as a visual artist in the Washington, DC area. 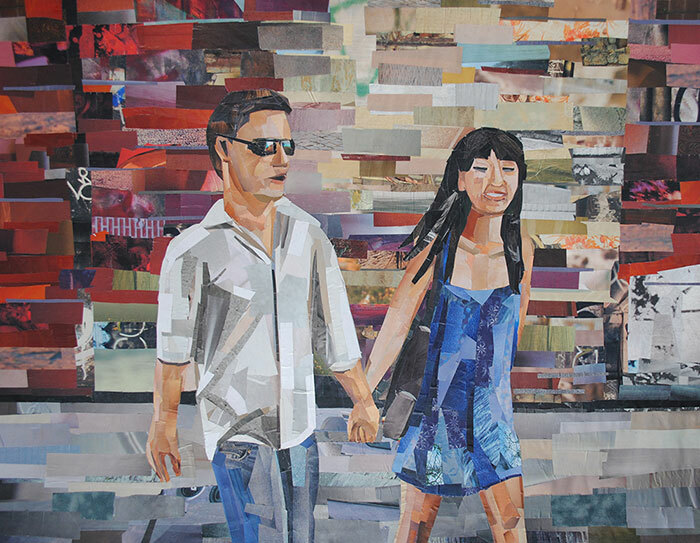 The Washington Post featured Megan’s “Bren” collage in the Style section of Sunday’s paper. 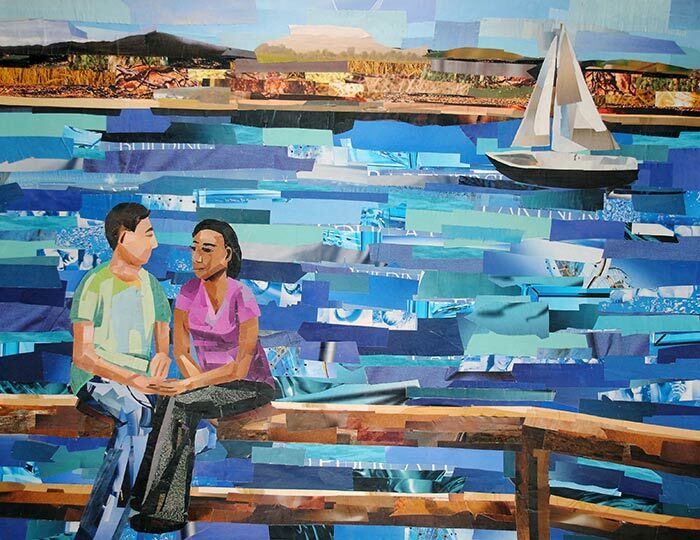 The collage was one of the few works of art selected from the Real Art D.C. Gallery for publication. For the September issue, the publication showcased ten artists and writers by including ten postcard sized prints. Megan was one of the artists selected for the postcard edition. Papirmasse also interviewed Megan and posted the interview on their website. Article discusses Megan Coyle’s work that was on display during the month of July for the “Firebricks & Frames Exhibition Series.” Local Kicks is a publication that focuses on events and news around Alexandria, Virginia and the Washington, D.C. area. 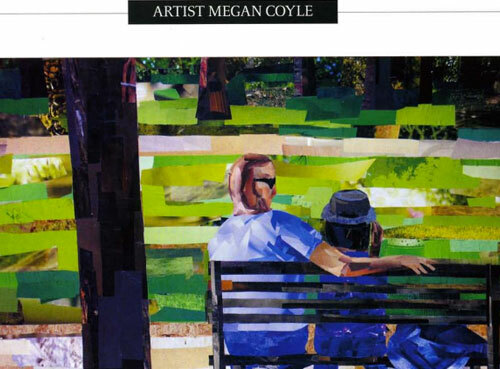 Megan was profiled in élan magazine – a magazine dedicated to the arts in Northern Virginia. 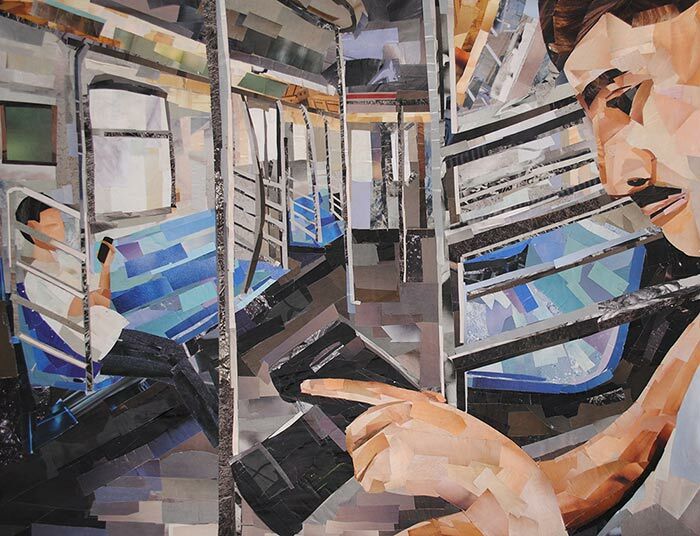 The article discusses Megan’s technique of manipulating magazine strips to create collages that strongly resemble paintings. Article provides insight on Megan’s process and shares a little info about her solo show at the Art League Gallery during July 2010. 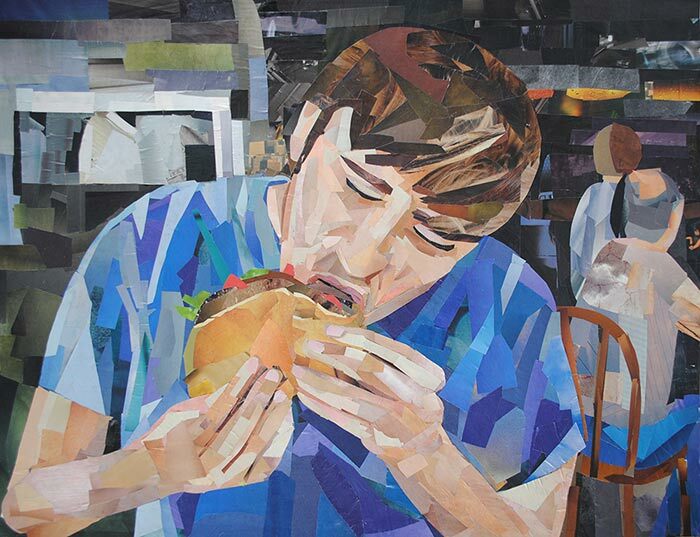 It also features three images of collages that were on display at the exhibition. 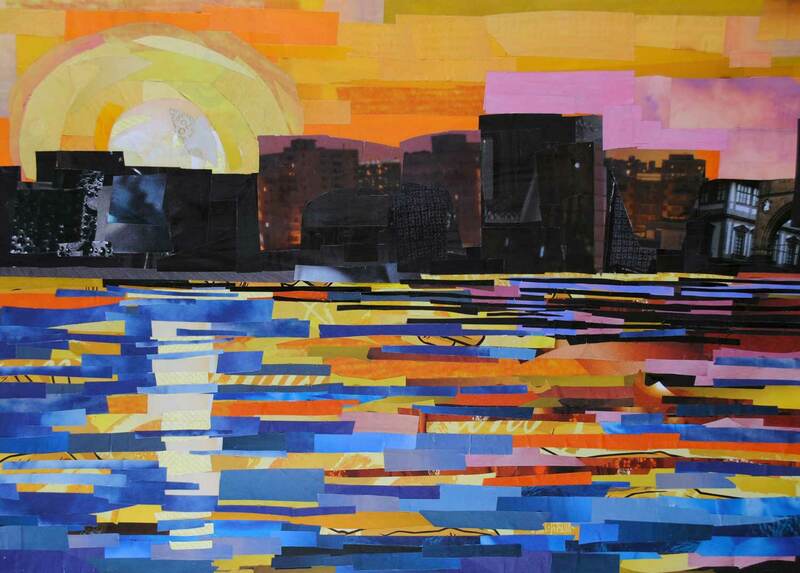 In the summer of 2010, Megan was selected to work as a Visiting Artist at the Torpedo Factory Art Center. The Alexandria Gazette wrote an article about the program which was introduced that year. 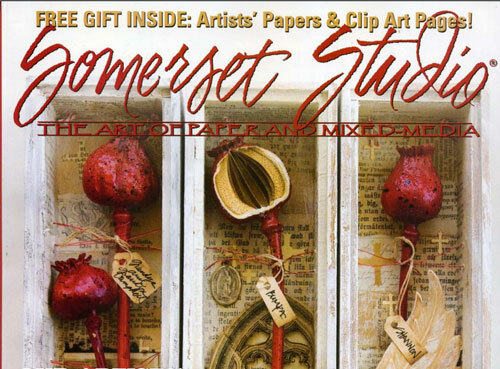 It also includes a write-up about Megan’s work at an open studio in the art center. This article appeared in a local paper and it featured Megan’s collage work. It discusses her work as a Visiting Artist at the Torpedo Factory Art Center and her solo exhibit at the Art League Gallery. Article Correction: The Visiting Artist Program is separate from the solo show at the Art League. Article tells about Megan’s upcoming solo show at the Fisher Gallery in May 2010. Local Kicks is a publication that focuses on events and news around Alexandria, Virginia and the Washington, D.C. area. “The Hikers” appeared in the sixth issue of The Whitefish Review. The Whitefish Review is a literary journal based in Whitefish, Montana. It features works of fiction, non-fiction, poetry, art, and interviews that focus on mountain culture. 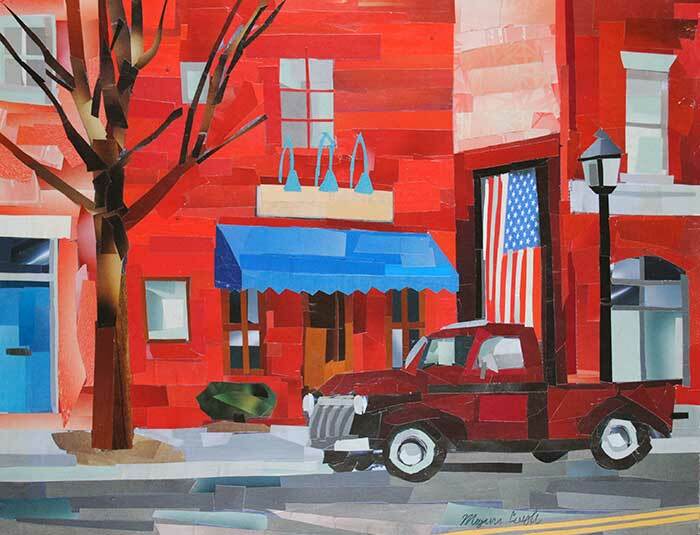 “Street in Old Town” was featured in the September issue of Art Calendar Magazine. Megan’s collage appeared above a letter discussing her first solo exhibition and her experience working as an artist. 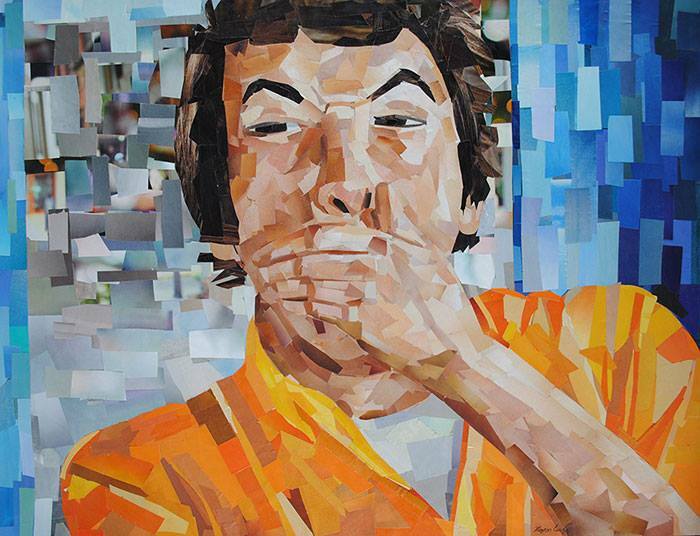 While working as an intern at the National Portrait gallery in 2007, Megan entered the Smithsonian’s community art show. 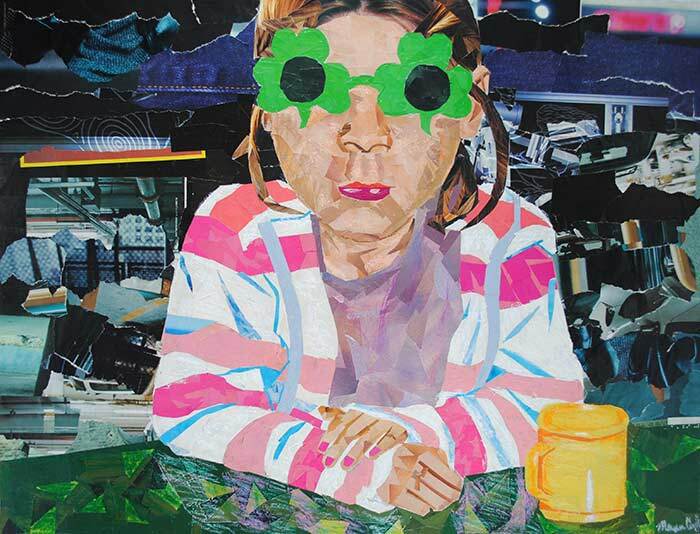 Her collage, “Girl with Glasses” was accepted into the exhibition. The Alexandria Times featured a write-up with info about the exhibition and Megan’s work. In a studied juried art exhibition in the fall of 2007, Megan’s multi-media piece, “Figurative Body Parts,” was awarded Best in Show by local North Carolina artist Kate Kretz. Megan was interviewed for an article on the student-run exhibition.